The U.S. Department of Agriculture's National Agricultural Statistics Service (NASS) is beginning to collect data from more than 50,000 farmers and ranchers, for its annual Agricultural Resource Management Survey (ARMS). The survey looks at all aspects of U.S. agricultural production, including farm financial well-being, chemical usage, and various farm characteristics. In 2018, the survey will take a closer look at soybean and beef cattle production in the United States. The information producers provide through the survey influences national and state policy-making decisions. In addition, ARMS data are used to calculate the farm sector portion of the Gross Domestic Product (GDP). The survey also collects detailed information on production practices, costs, and returns for 13 principal commodities on a rotating basis. The last time ARMS focused on soybeans was in 2012. "Data from the 2018 ARMS will be used to assess the crop insurance choices made by farmers, helping policymakers better understand the impact of crop insurance offerings on farm production decisions and financial outcomes," said Barbara Rater, director of NASS Census and Survey Division. The survey is conducted in three phases from May 2018 through April 2019. 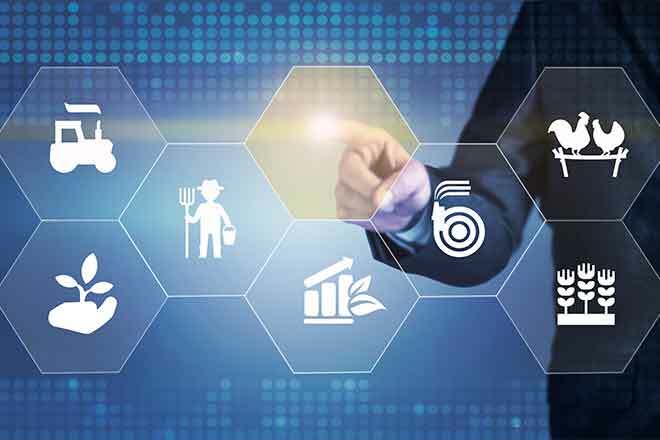 The current (first) phase screens participants to make sure they have the commodity of interest and will accurately represent the entire U.S. farm sector. During the second phase, NASS will collect information on production practices and chemical use for specific commodities. In the final phase, NASS will survey producers on cost of production, farm income, and production expenditures. "We strongly encourage every producer contacted for ARMS to participate, as their response represents not just their own farm, but many other similar operations across the country," added Rater. "To make responding as convenient as possible, the survey can be completed online at agcounts.usda.gov. NASS representatives are available by phone to assist with any questions about the survey. Producers can also complete and mail the paper form to us." NASS safeguards the privacy of all respondents and publishes only aggregate data, ensuring that no individual operation or producer can be identified. ARMS is a joint effort of NASS and USDA's Economic Research Service. For more information about the 2018 Agricultural Resource Management Survey visit www.nass.usda.gov/go/ARMS. ARMS is a joint effort of NASS and USDA's Economic Research Service.